After months of organisation and planning, the Llandeilo Book Fair is tomorrow. 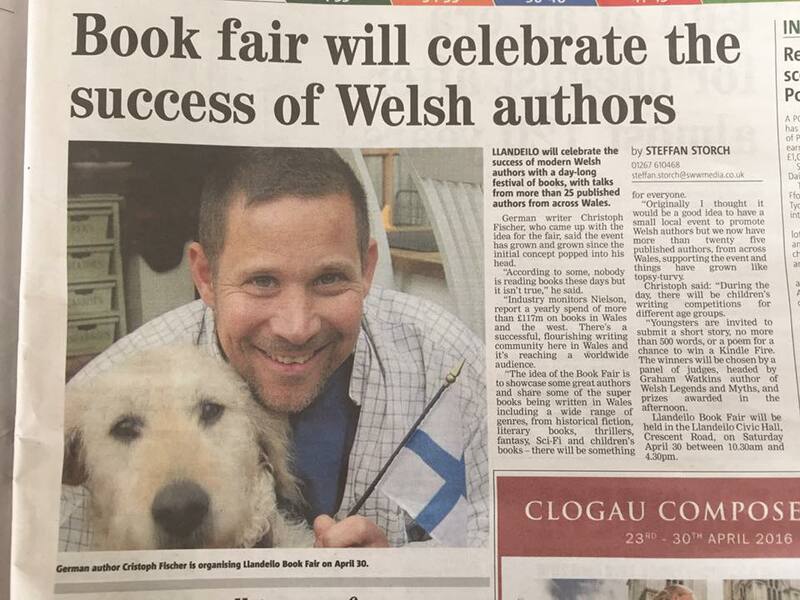 The idea of Christoph Fischer, fab author, prolific writer and one of the first people I ever ‘met’ on social media, has blossomed into an exciting day for book lovers of Wales. Not only can you meet the authors, there are talks and readings, as well as a workshop, a children’s writing competition and food courtesy of the fabulous Caffi Iechyd Da. I’ve struggled to get organised for my first book fair. I decided to make the banner to go behind me, recycling material and scrounging card from the shops in the high street. 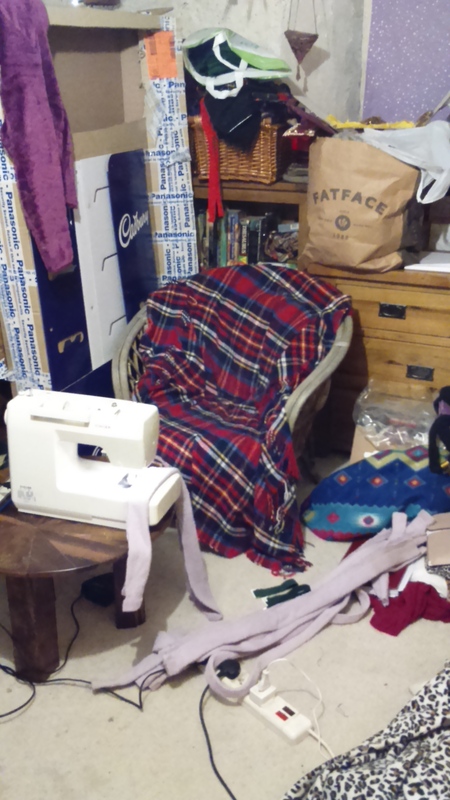 I resurrected my sewing machine from a box upstairs, finding a couple of button boxes along the way. I wrote my talk and organised promo. I was on schedule…and then was felled by a debilitating virus. Apart from a niggling cough that won’t quite go, I’m happy to say, I’m well again. My banner is ready, to the best of my ability and I’m packing my plastic boxes today. Tomorrow, I’m meeting authors, most of whom I’ve only ‘met’ online but whose books I have enjoyed. I’m giving my first ever talk ‘Fantasy and magical realism…it’s all fiction to me’ and will be standing proudly behind my table as book lovers from all over Wales congregate on the Civic Hall. The magic starts at 10.30am. Come and join us.